Property from the life and career of US singer Johnny Cash is displayed prior to auction in Los Angeles, California. Clothing, guitars and handwritten song lyrics are among the items that were auctioned with part of the proceeds benefitting MusiCares. EPA/PAUL BUCK. 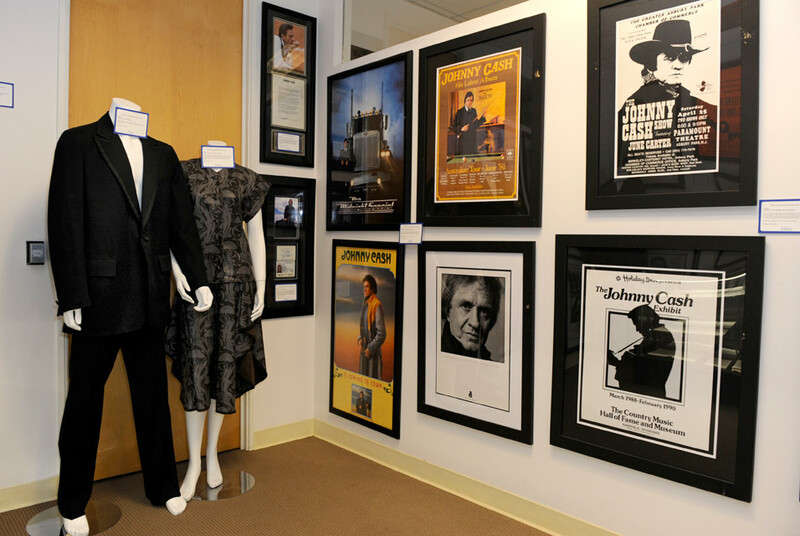 BEVERLY HILLS, CA.- Fans and collectors gathered at Juliens Auctions Beverly Hills today as items that once belonged to Johnny Cash were auctioned. Bidding volleyed between bidders on the telephone, in the gallery and phone bidders, ending with the sale of the jumpsuit for $50,000. A rare poster announcing Cashs performance at the prison sold alongside the jumpsuit for $25,000 while a 1968 passport sold for $21,875. The auction also brought $50,000 for a Martin stage used guitar. The Bicentennial shirt made by Nudie Cohn and worn by Cash as the Grand Marshall of the American Bicentennial Grand Parade in 1976 brought another bidding war and a sale of the shirt for $31,250 and Johnny Cashs knee-high boots sold for $21,875. Among the other items offered for sale were awards presented to the Man in Black, handwritten lyrics and other personal ephemera bringing more than $700,000 (U.S.) for the 321 lots offered.